Located about two hours from the U.S. Capital of Washington, D.C., Baltimore is a burgeoning city that offers many great things like D.C. Baltimore is one of my favorite border state cities (the city displays both Southern charm and some Yankee sentiments—the pace of life isn’t as fast as New York City, but faster than South Carolina). The Inner Harbor is a great walking area with the beauty of the Chesapeake Bay is welcoming as well as the shopkeepers that greet walkers. There are so many great restaurants in that area and different events on summer evenings. 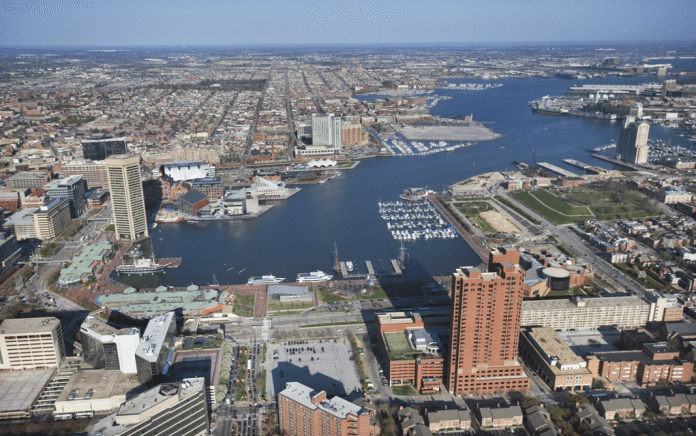 Baltimore has a lot more to offer than just the Inner Harbor and the Chesapeake Bay, however. Into Civil War history? Baltimore has a Civil War museum, a Civil War trail, and other museums that mention Baltimore’s complicated history in the Civil War. Into sports? The Orioles and Ravens bring a lot of energy into the city. Everyone is a fan on game day. Into the arts? Baltimore has a great arts scene. If you find yourself visiting Baltimore, here are the best things to do while you’re in the city. The Baltimore Aquarium is one of my favorite aquariums and I always have to visit when I travel to Baltimore. Located in the Inner Harbor, the Baltimore Aquarium is the nation’s first aquarium and has a mission to inspire conservation of the world’s aquatic environment. 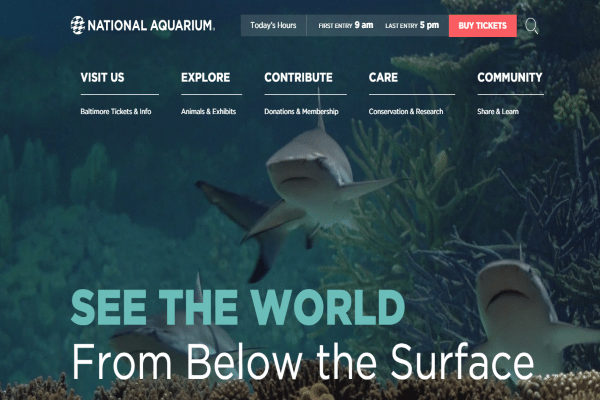 The Baltimore Aquarium is a non-profit organization that teaches environmental initiatives by engaging with visitors both locally and from around the world to actively participate in the preservation of our ecosystems. You will need a few hours to walk the Baltimore Aquarium and I can guarantee you’ll be mesmerized walking through the different fish displays that illuminate the dark passageways. You can also see the jungle animals in the upstairs rainforest portion of the aquarium. Watching turtles like Calypso and seeing the sloths are just amazing. I always enjoy learning about our ecosystems, especially with all the activities the Baltimore Aquarium offers throughout the day. I love the Baltimore Aquarium, but haven’t seen any of the other sites. They will be on my list the next time I get to Maryland. An excellent and helpful article.